A drunk driver stuck a business sign and knocked down a light pole at a grocery store across the street Saturday evening, leading to his arrest. 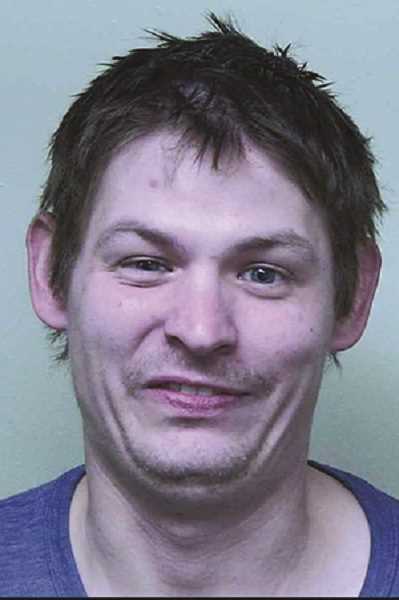 According to a Prineville Police Department report, at 8:23 p.m. Jan. 19, 29-year-old Prineville resident Spencer Bradrick Buck was trying to park his 1960 GMC at the Main Station Express. He then tried to leave the parking lot and backed into a store sign. Buck proceeded to drive across Main Street into the Wagner's parking lot, police stated, where he was driving erratically and crashed into a light pole, causing it to break at the base. He then tried to leave the scene but was detained by citizens until police arrived. Buck was arrested for DUII, reckless driving, failure to perform the duties of a driver, first-degree criminal mischief, and third-degree criminal mischief. He was lodged at the Crook County Jail, where he was found to have a .18 blood alcohol content. He was later released from the Crook County Jail. The northbound lane of North Main Street was closed for more than 30 minutes. No citizens lost power as the pole was for lighting. Prineville Police Department was assisted at the scene by the Crook County Sheriff's Office, Crook County Fire and Rescue and Pacific Power.